Fractora is a radiofrequency fractional treatment, and it uses some of the best technology available. If you’re looking for anti-aging improvements, then Fractora can help. It has the power to improve the texture and tone of your skin, and it can give you a radiant appearance. With the use of skin resurfacing and ablation, Fractora has the potential to change your life. To pass RF energy into your skin, the device uses an array of pins, which produce localized heat. When used on the treatment area, Fractora creates micro-lesion dots, and the heat generated by the pins encourages the restructuring of collagen. As a result of the localized heat, you can enjoy skin rejuvenation and obtain a better appearance. Since Fractora methodically scatters the micro-lesions over the treatment area, your skin will heal faster than it would with some alternative procedures. Fractora can work well for areas that have discolored skin, scars or deep wrinkles. Some common treatment areas are the neck, mouth, smile lines and upper eyelid. Fractora uses tiny pins to deliver radiofrequency energy in your skin, and the energy is effective for creating localized heat within the treatment area. Like many other cosmetic treatments, Fractora uses heat to cause new collagen to form, which can improve the texture and tone of your skin. The time needed for your skin to heal is reduced because of the micro-lesions created by the device. If you’re looking for a non-invasive way to improve the tone and texture of your skin, then you could be a great candidate for Fractora. What Can Be Treated With Fractora? Fractora fractional resurfacing is some of the newest technology for skin rejuvenation, and it can be used to treat skin tone, wrinkles, scars and skin laxity. It’s commonly used on the body, hands, chest, neck and face. Since the procedure uses RF energy to create heat within your skin, it’s much less invasive than some of the alternative treatments. Once the RF energy is sent deep into your skin, it stimulates the growth of new elastin and collagen, which causes your skin to become smoother and tighter. 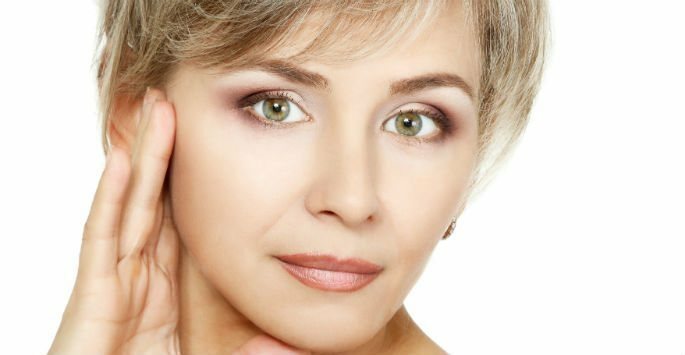 The RF ablation part of the procedure helps to diminish the appearance of scars, wrinkles and fine lines. To reduce the amount of time needed for recovery, Fractora can be used at lower energy frequencies. This procedure is commonly used to treat stretch marks, loose eyelid skin, large pores, spider vessels, acne scars, wrinkles and fine lines. Once you’re finished with the procedure, you should notice results over the next three to six months, and a single treatment has the potential to significantly improve the appearance of textural issues, wrinkles, tone and pigmentation. Depending on your end goals, you may need to have multiple treatments to fix things like scarring. But regardless of if you need multiple treatments, or just one will do, Fractora could be the skin-rejuvenating answer you’re looking for. Call the Artisan’s Rejuvenation offices for a consultation today!